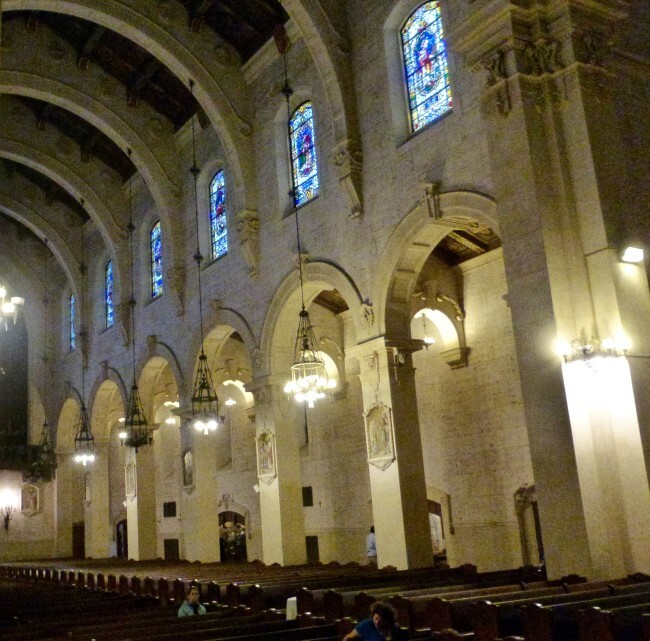 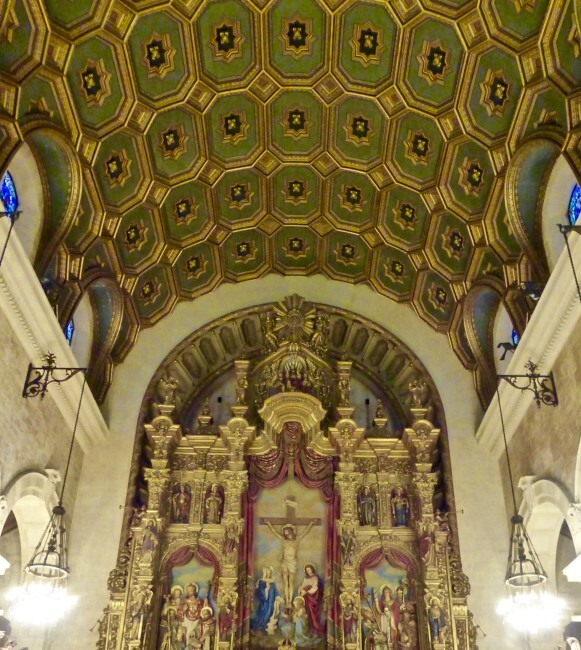 Being an equal opportunity historic church seeker, on my late morning sojourn, I traveled near downtown Los Angeles to the famed Figueroa Corridor and the beautiful St. Vincent de Paul Los Angeles Church, the second Roman Catholic church in Los Angeles to be consecrated. 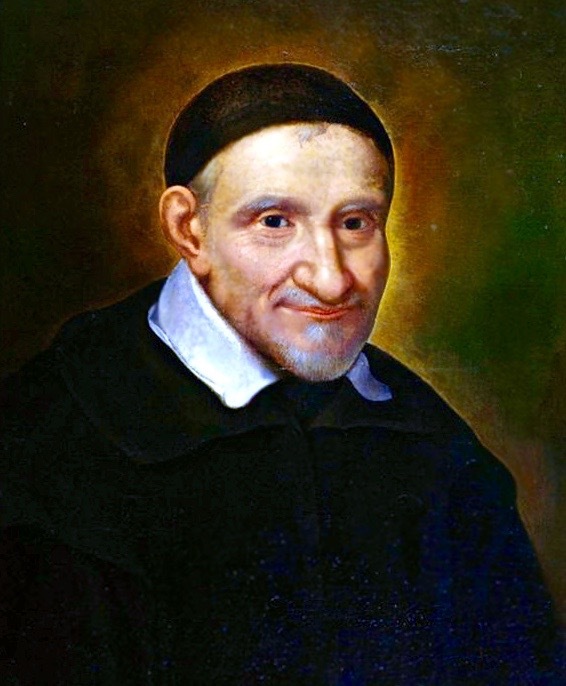 Frenchman Vincent de Paul was “renowned for his compassion, humility, and generosity and is known as the Great Apostle of Charity.” He died in 1660 and was declared Patron Saint of all works of charity by Pope Leo XIII. 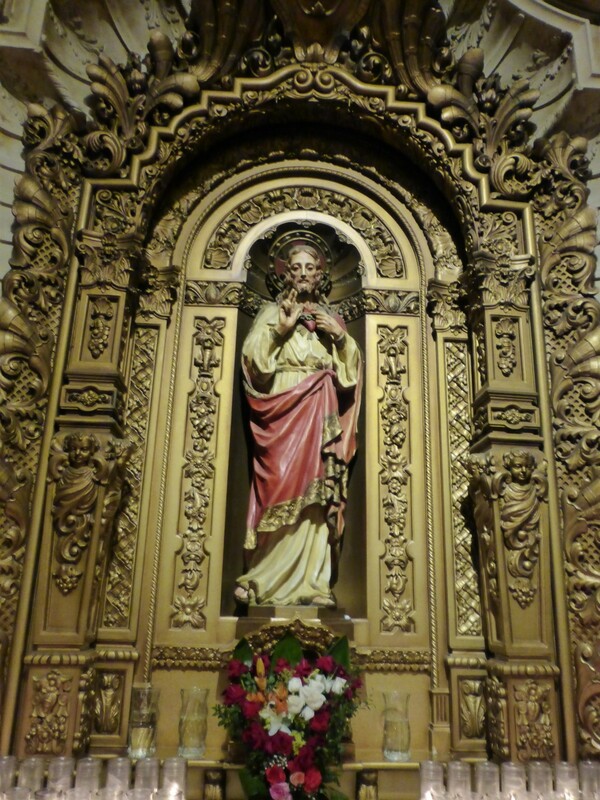 He was canonized June 16, 1737. There is a Society of St. Vincent de Paul, which was founded by French students in the 1830s. 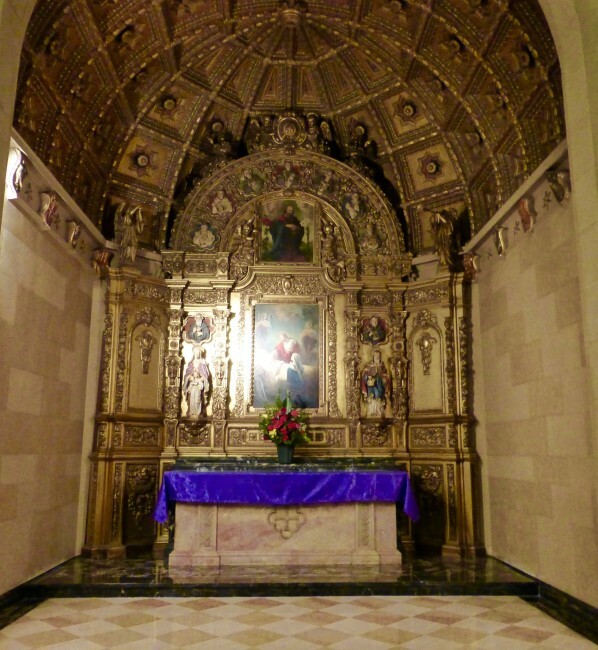 It is a charitable organization dedicated to the service of the poor. 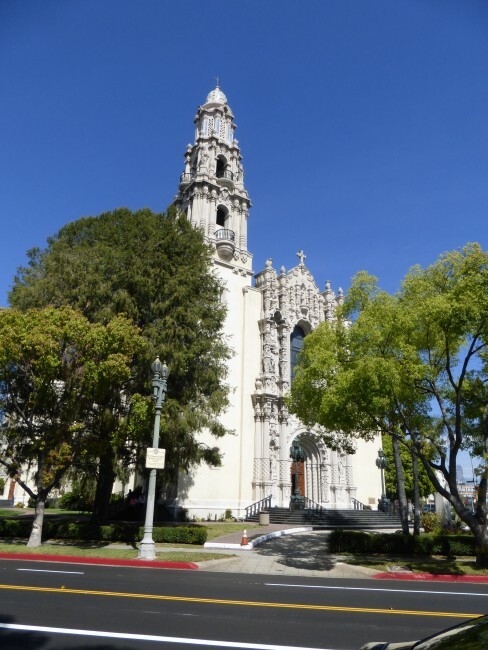 In 1914 there were plans in motion to build a new church in L.A. because the largest number of parishioners in parish history had outgrown their other church. 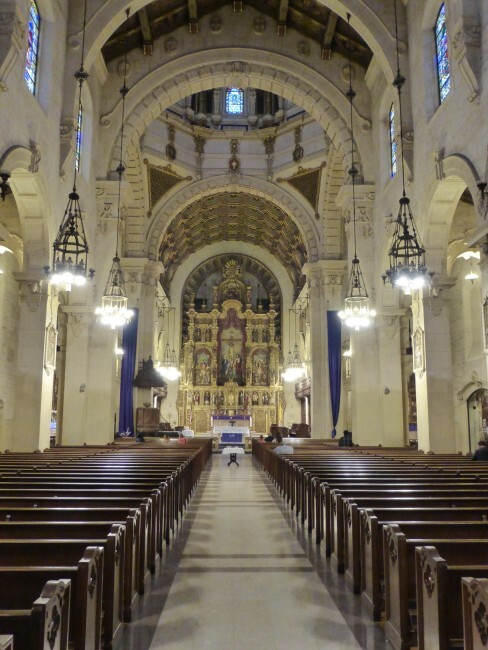 St. Vincent was the city’s third Roman Catholic parish. 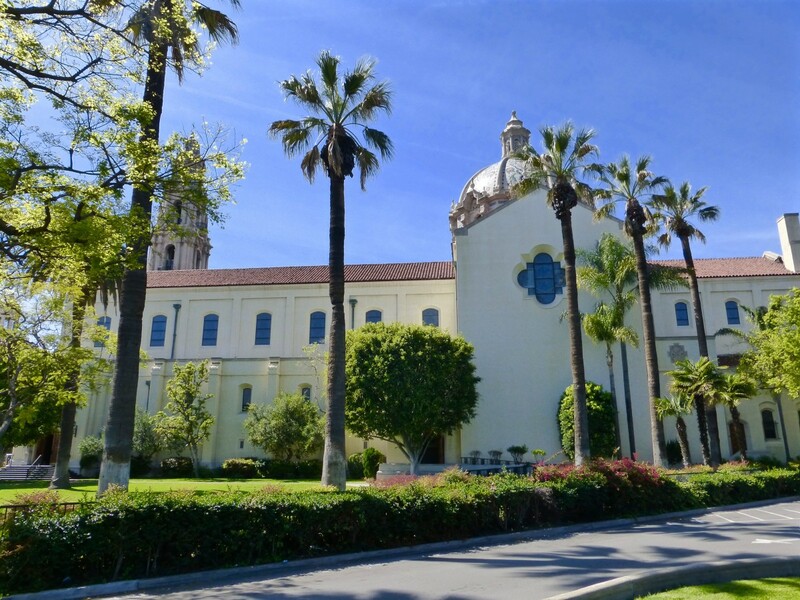 It had been meeting in an 1887 church building on the campus of the former St Vincent’s College (the first college established in L.A. in 1865) in another area of Los Angeles. World War I put the plans for the new church on hold for about a decade. 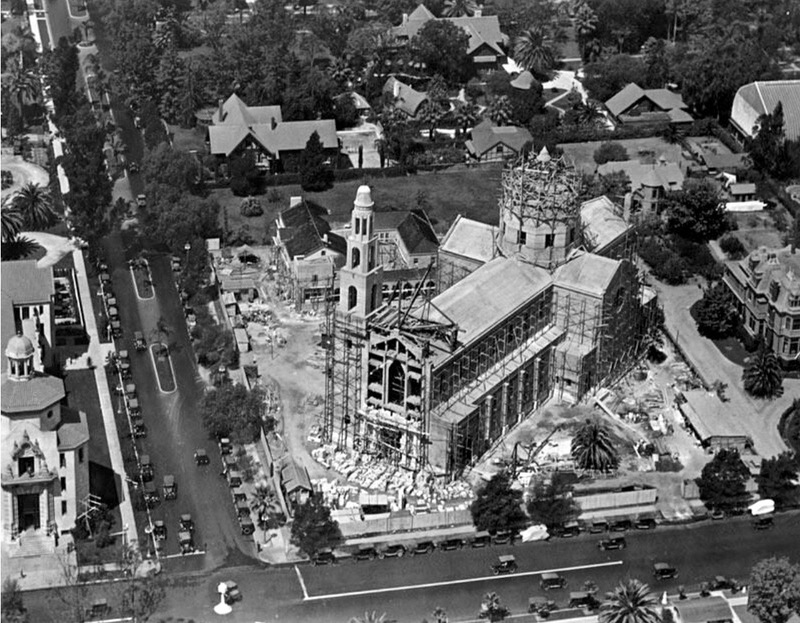 Ten years later, on July 18, 1924, the first cornerstone was set, and nine months after that (April 1925) the church on the corner of Adams and Figueroa was dedicated. It was designed by Albert C. Martin, who had also designed the famed Churrigueresque-style (Spanish Rococo-style) Million Dollar Theater on South Broadway in downtown L.A.
Interestingly, Martin patterned St. Vincent de Paul after Bertram Goodhue’s California Building at Balboa Park (below) in San Diego (see Balboa Park in California Dreaming. 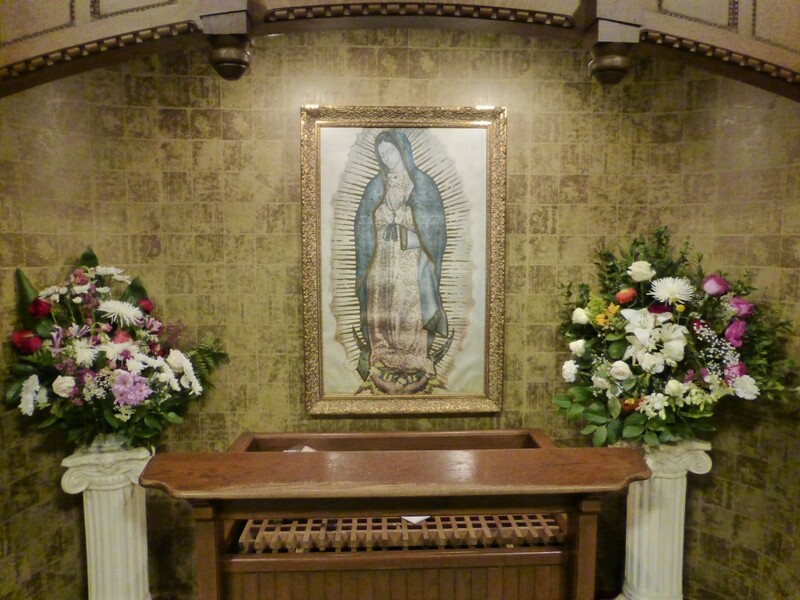 We just visited last month). 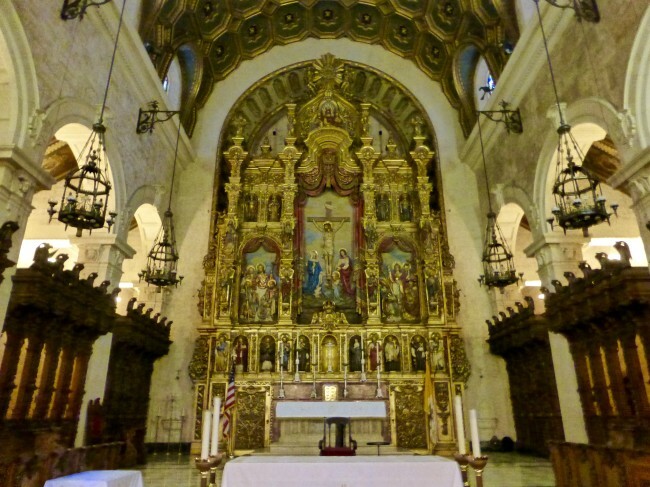 It was also designed after Santa Prisca, an historic 1748 church located in Tasco, Mexico. 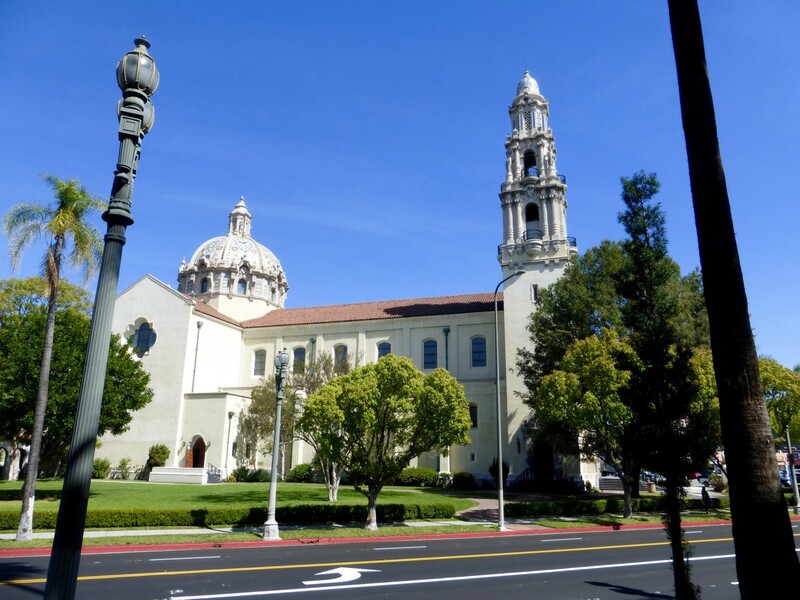 And you get a great view from the sidewalk in front of Popeye’s chicken restaurant across the street, where I kept abreast of the traffic (“on a wing and a prayer” as they say). 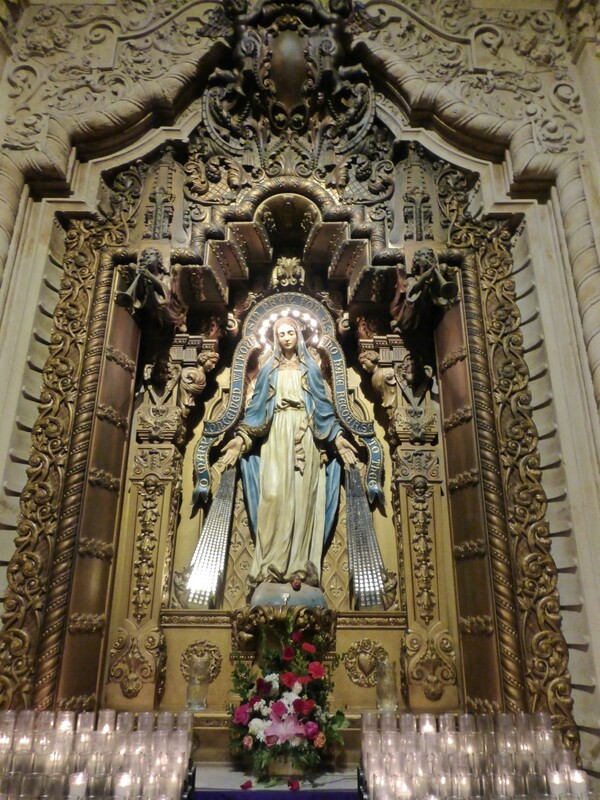 In the front of the church is a statue of the Virgin Mary. 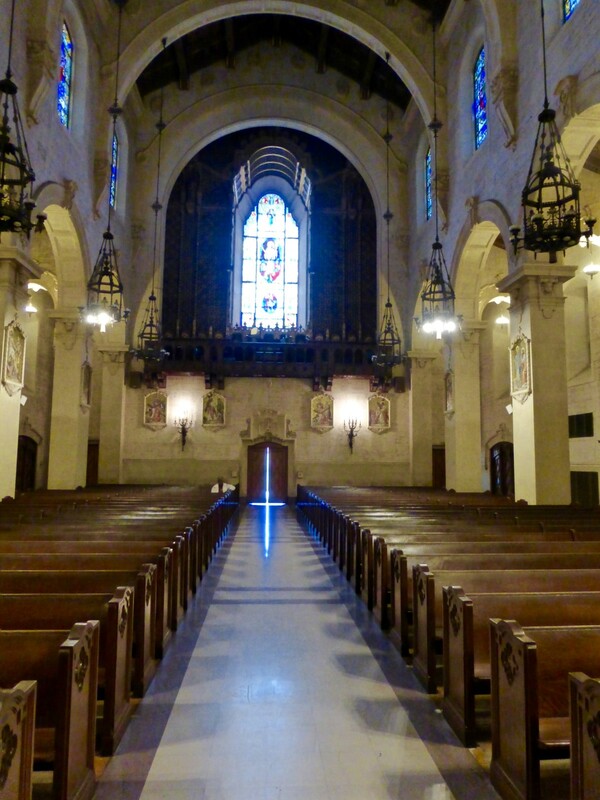 and then I opened the door to the church. St. Vincent de Paul was designated a Los Angeles Historic-Cultural Monument in 1971. 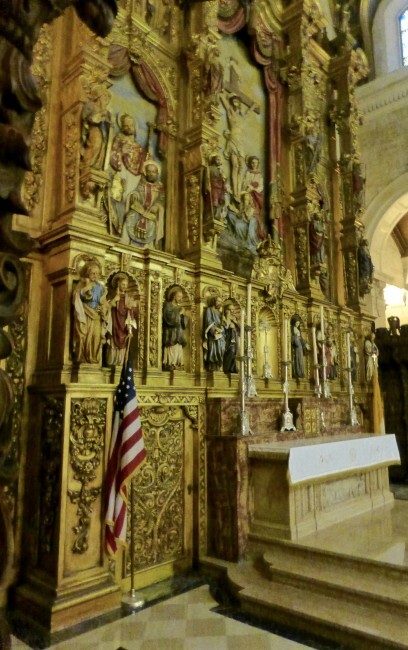 The reredos (altarpiece) contains ten saints and the four Evangelists. There is a statue of Saint Edward to the left of the saints. 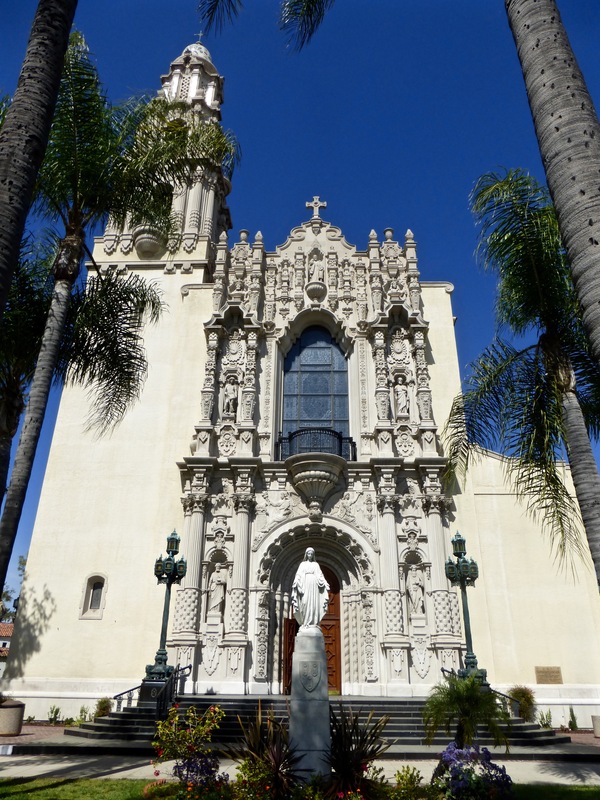 By the way, Saint Edward is supposed to be the exact resemblance of Edward Doheny, the oil tycoon who ponied up a quarter of a million bucks for the church. Look closely, and you can see him holding a mini-St. Vincent’s. 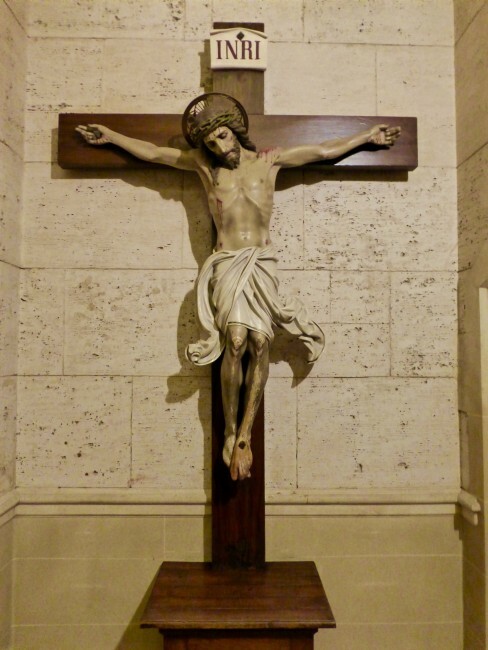 At the request of Doheny, St. Vincent’s was built at a 45-degree angle in the form of a Latin cross (a cross with a more extended descending arm). 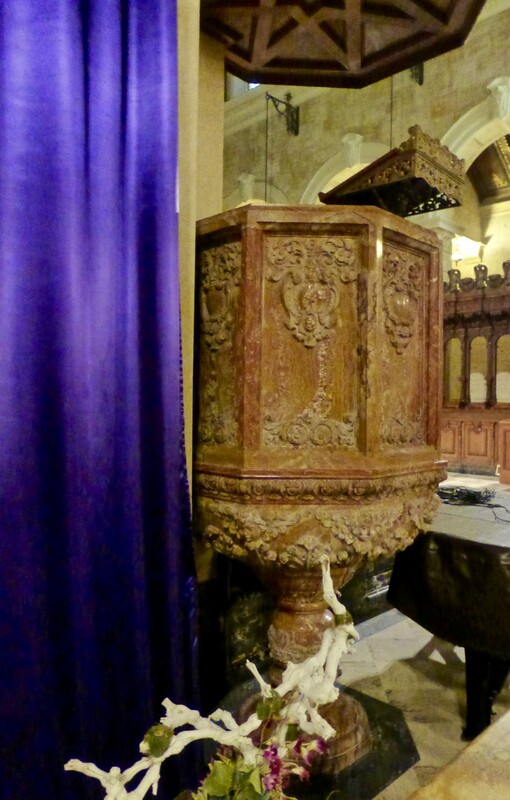 This was done to prevent any future building in the area that might detract from the beauty of the church. 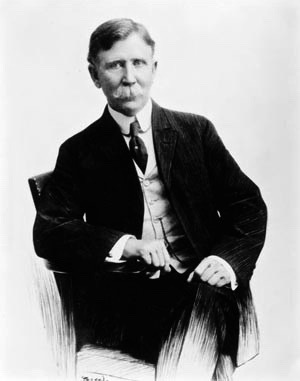 Doheny also drilled Los Angeles’ first oil well in 1892. 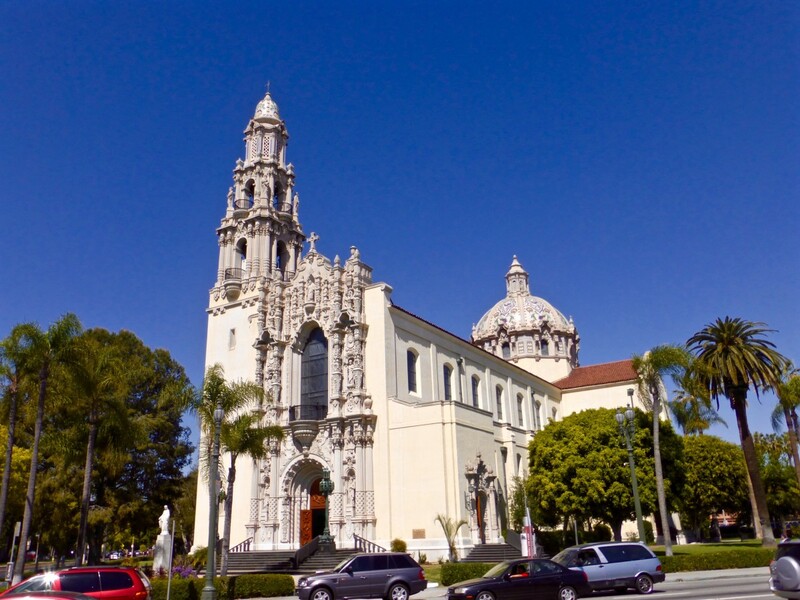 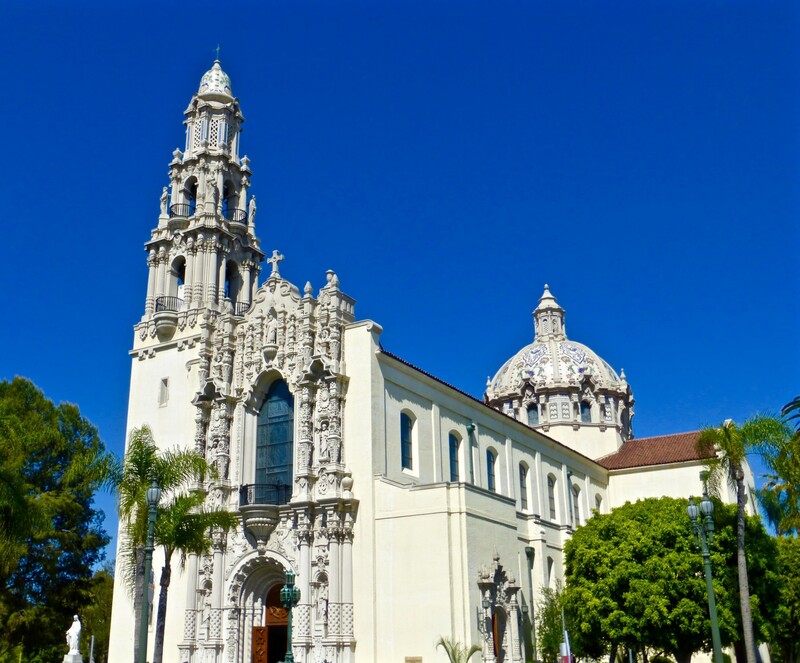 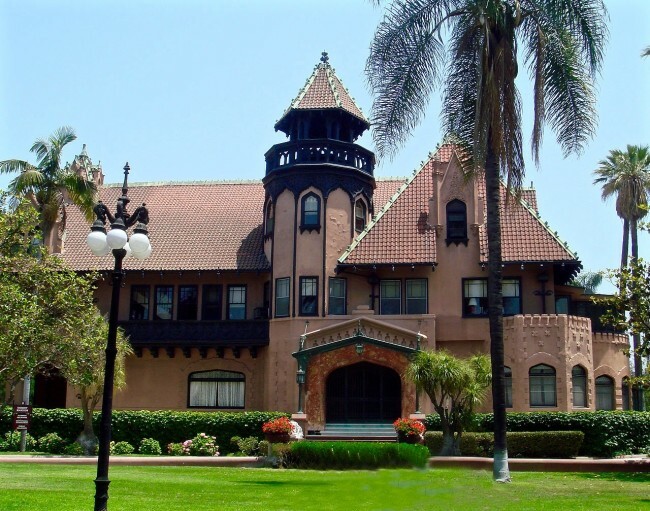 TravelsWithMaiTaiTom Factoid (from the West Adams Heritage website): “In 1921, Doheny persuaded his friend, President Warren Harding’s Secretary of the Interior Albert B. 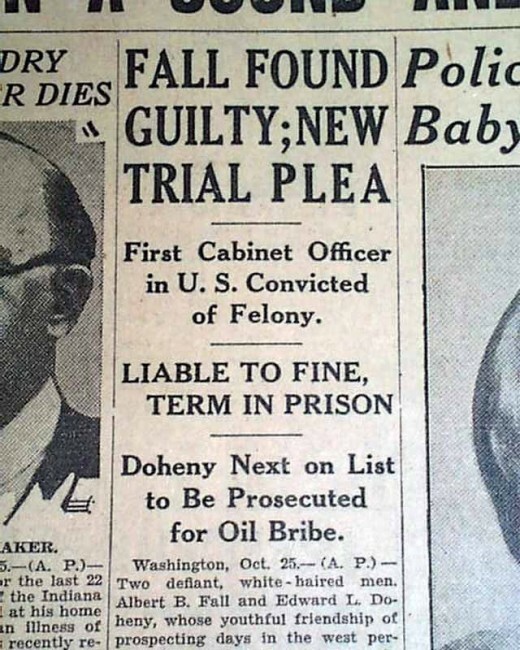 Fall, to lease to Doheny’s oil company large holdings of oil-rich lands owned by the U.S. Navy at Elk Hills in Kern County, California. This, in exchange for a suitcase with $100,000 in cash delivered to a Washington Hotel by Doheny’s son Ned. 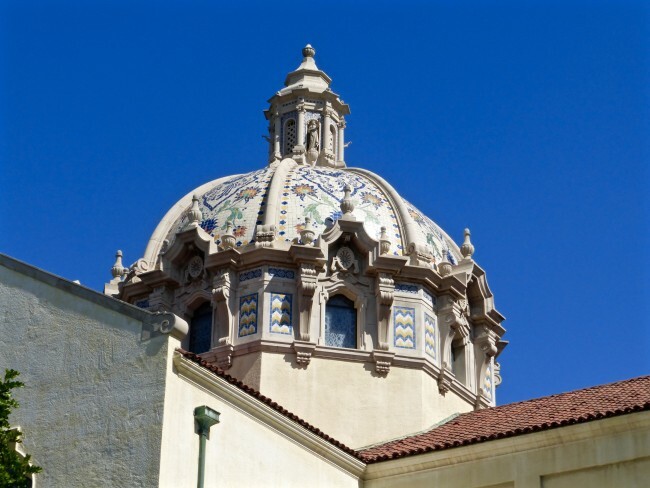 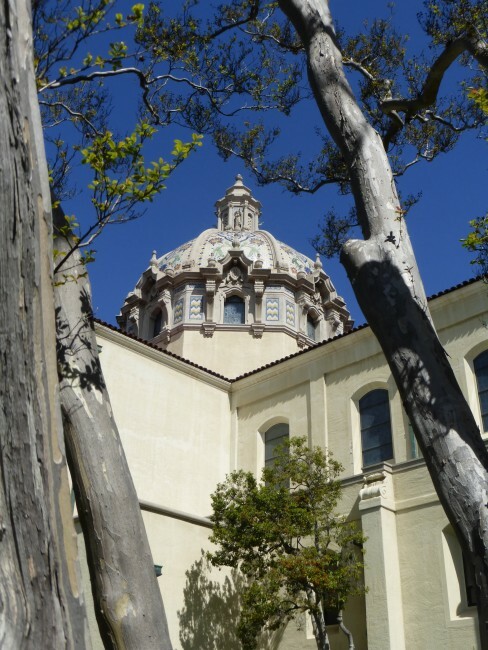 A similar deal was struck at the same time between Secretary Fall and oilman Harry F. Sinclair for a less valuable Navy oil property at Teapot Dome, Wyoming, in which Sinclair gave Fall $300,000.” Albert became the ultimate “Fall” guy, while Doheny was eventually acquitted, and fortunately the dome of St. Vincent’s is not shaped like a Teapot. Doheny’s mansion (which I plan to visit soon) is located nearby (photo below is from the internet). 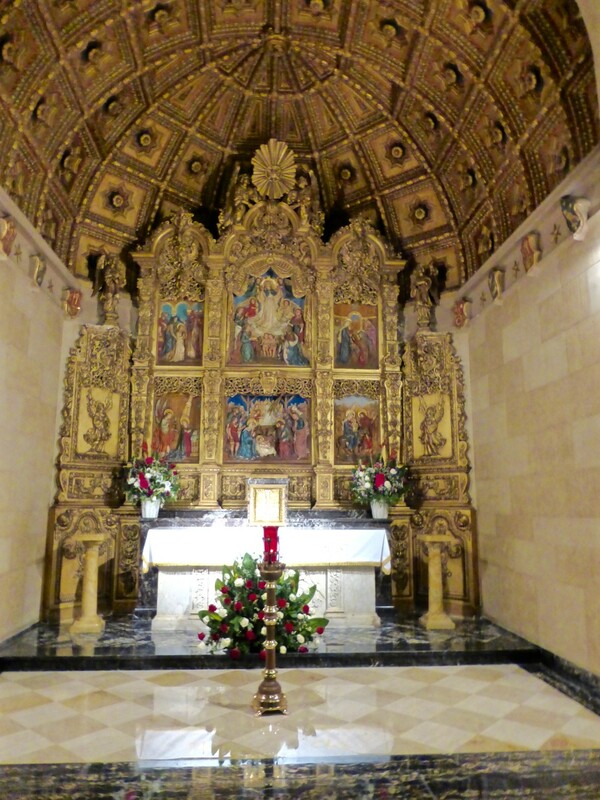 There are a couple of beautiful side chapels. 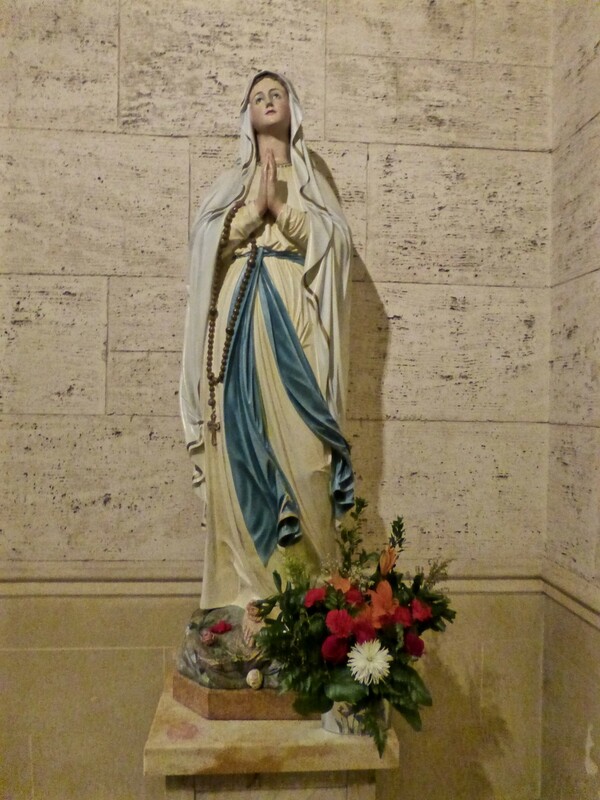 In an alcove, near the left side of the chapel, the Our Lady Of Grace statue has a crown of light bulbs (since the church is so dark, I thought light bulbs were quite a bright idea). 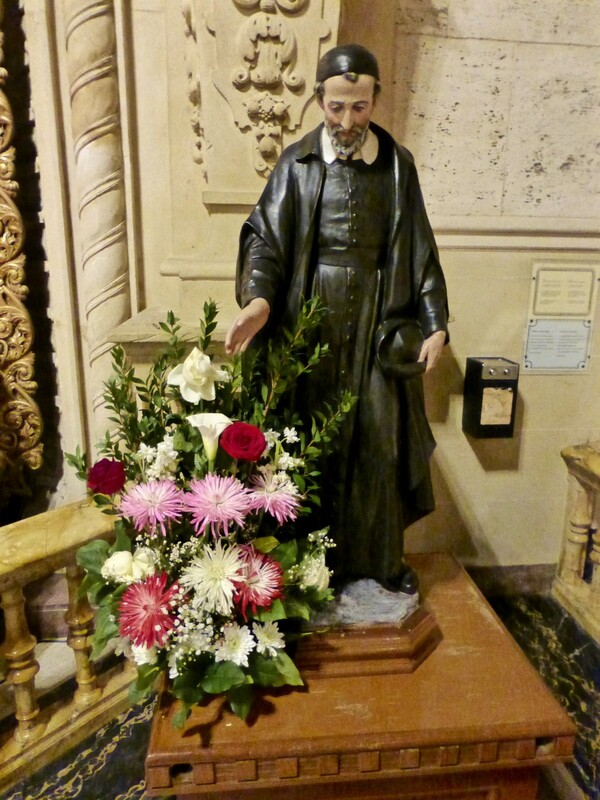 Nearby was none other than St. Vincent de Paul himself. 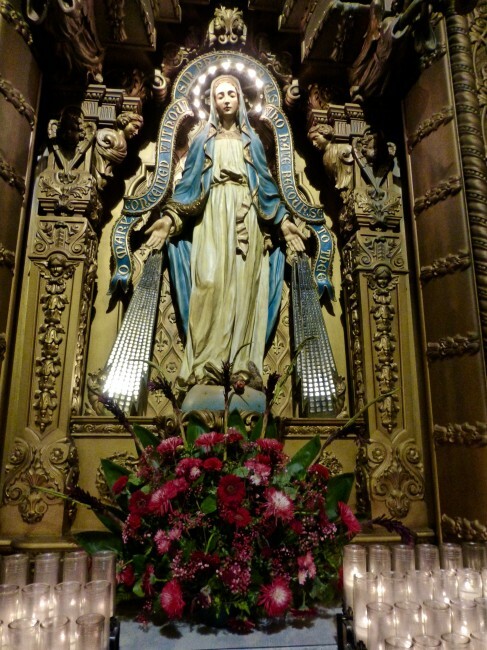 Well, charity does begin at home. 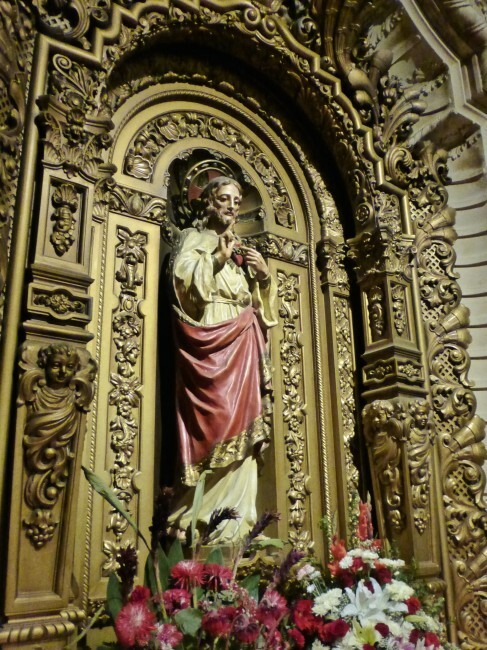 is a statue of Jesus. 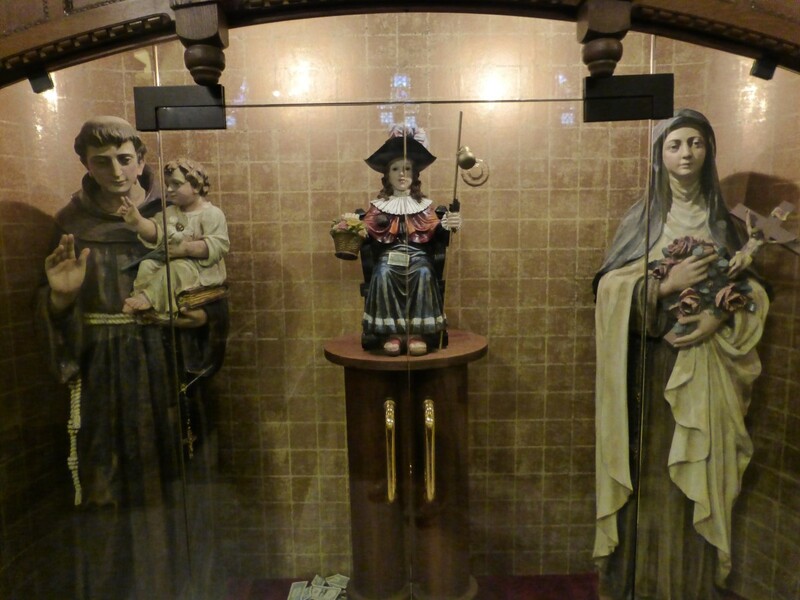 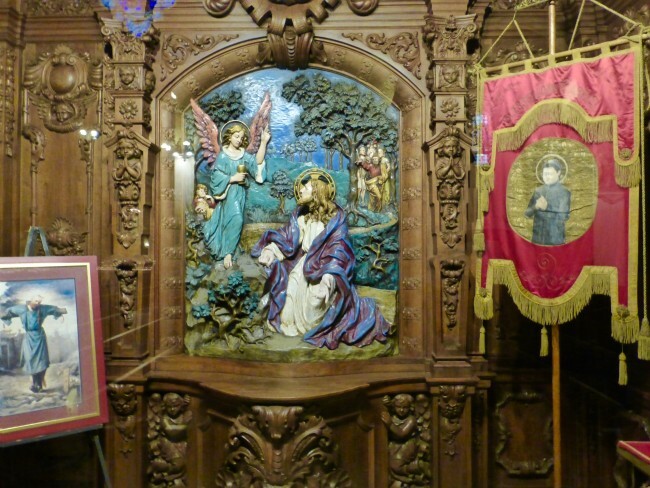 Walking down the small hallways on either side of the reredos, you will see these two sculptures. 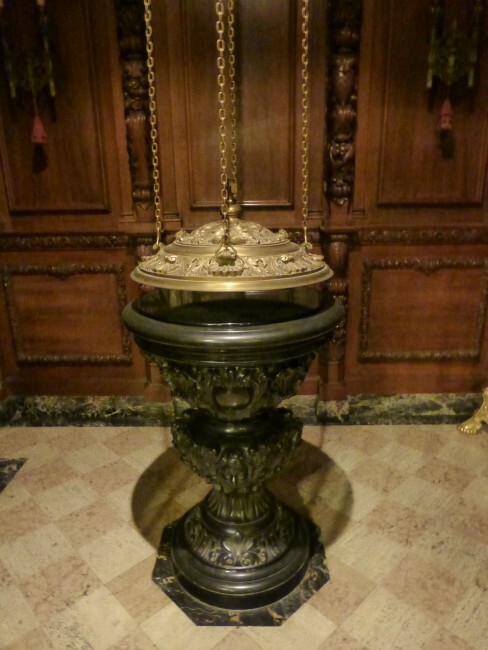 The pulpit is carved from a single block of red marble. 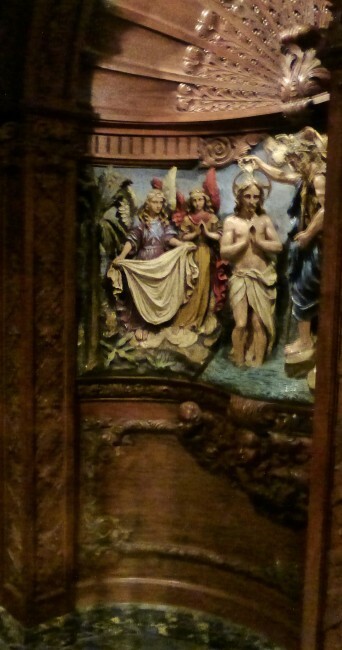 although this is supposedly a relief sculpture of John the Baptist and Jesus. 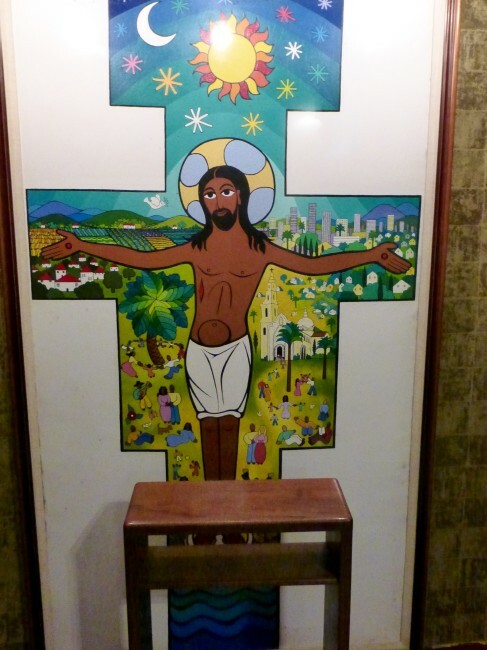 I don’t have a clue (hey, I’m a Presbyterian…what do I know?). 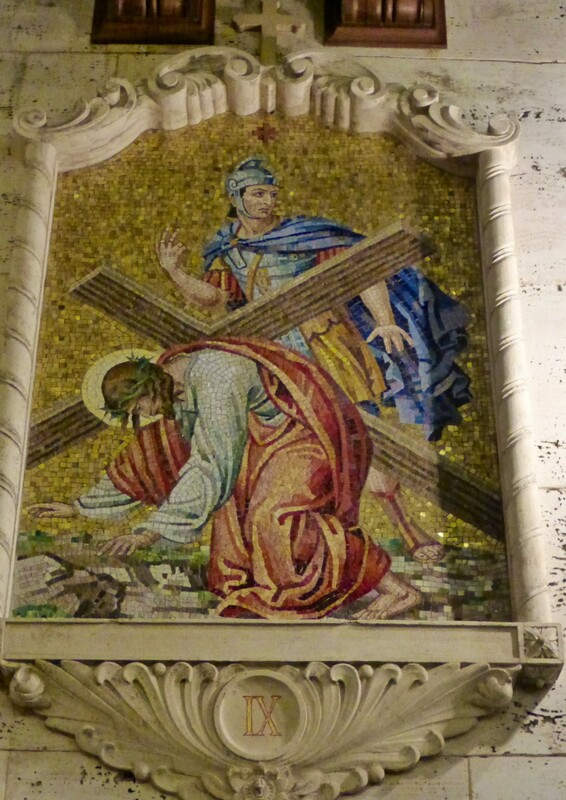 The mosaic Stations of the Cross can be seen on the pillars and walls. 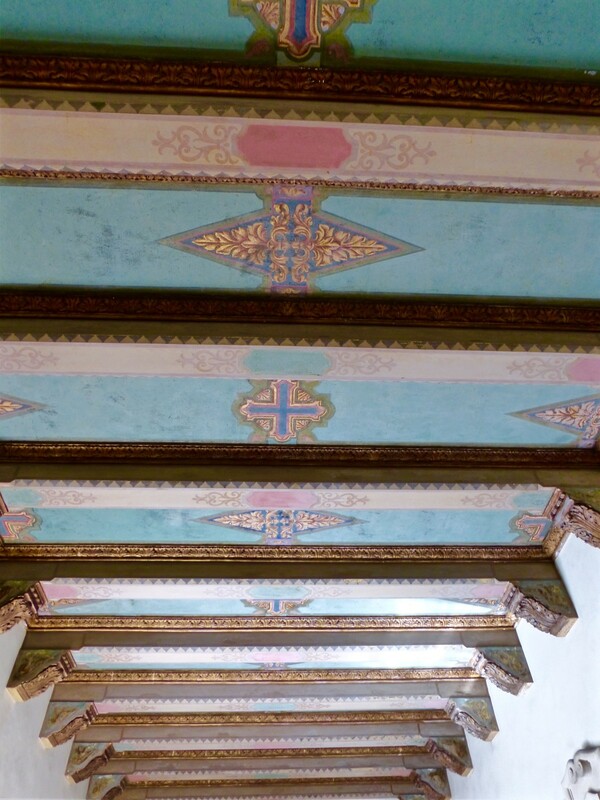 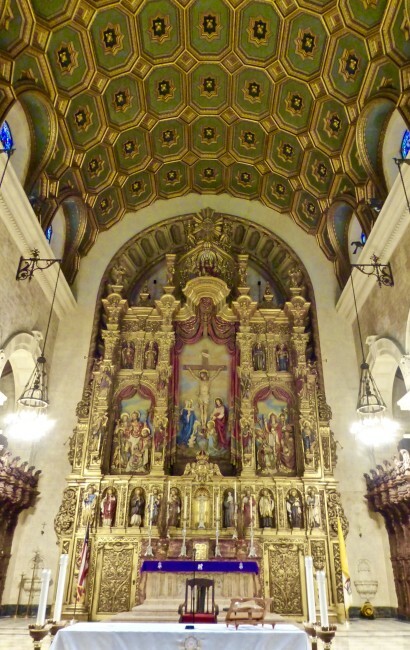 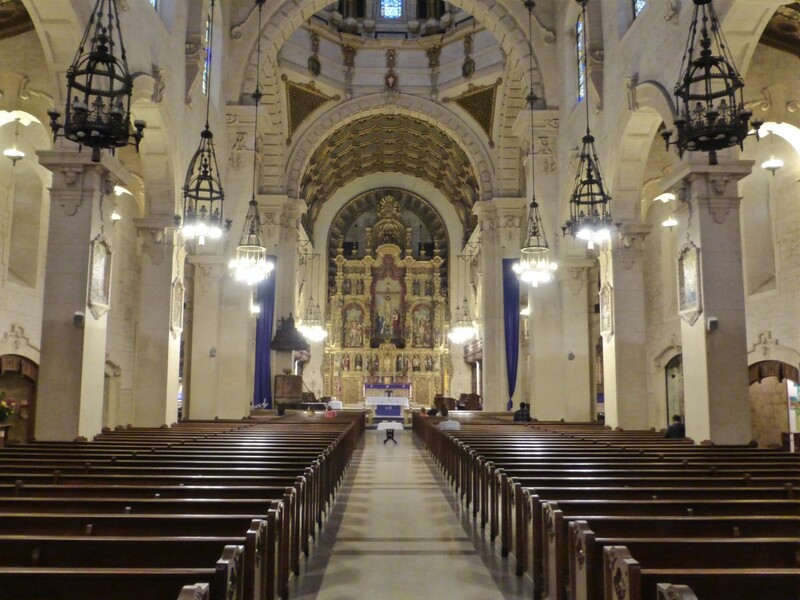 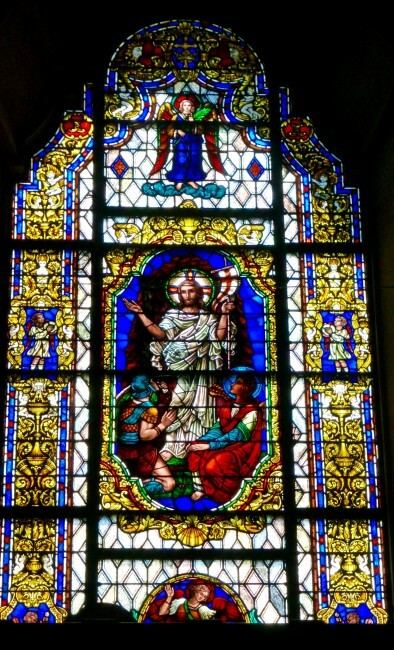 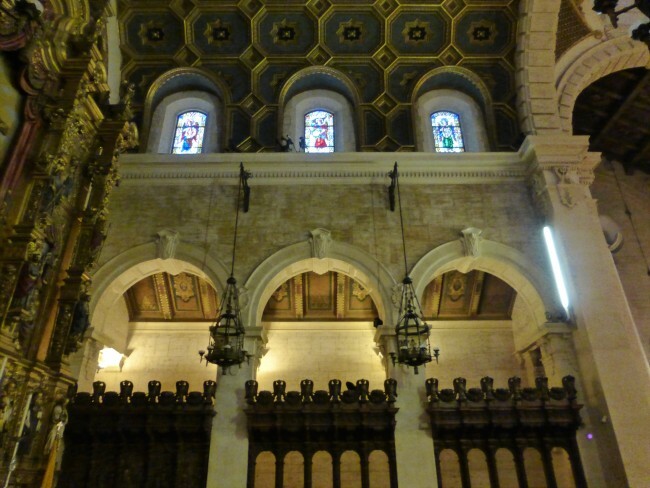 Ralph Cram designed the interior of the church, while all the ceilings were the work of John B. Smeraldi, who also was responsible for the ceilings at the Biltmore Hotel in downtown Los Angeles. 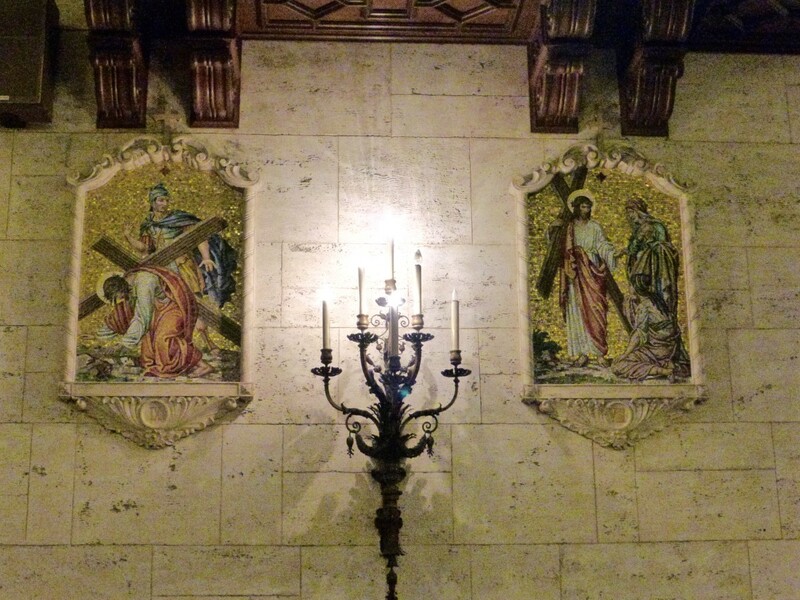 …and to make things interesting, the door was ajar just enough so that the light streaming in formed a sign of the cross, just like in the movies. Speaking of movies, the climactic scene of the 1999 film End Of Days starring Arnold Schwarzenegger was filmed inside this church. 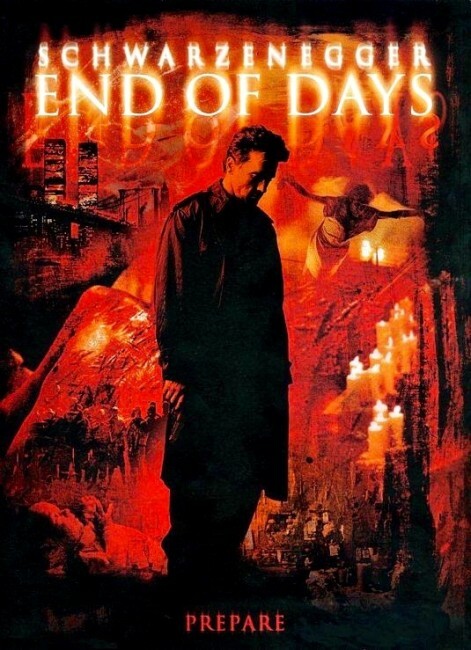 I thought End of Days was when Maria Shriver found out about his affair, but actually St. Vincent’s is where the climactic scene of Arnold battling Satan was shot. Nearby St. Vincent de Paul are the aforementioned Doheny Mansion, and the Stimson House (below photo from wikipedia), the famous 1891 home of lumber and banking millionaire Thomas Douglas Stimson. 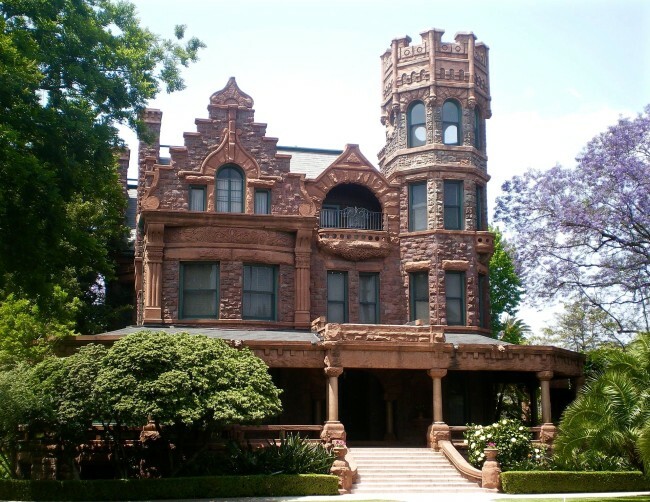 I hope there is a way I can visit it in the future, but it looks like I might have to charm some nuns who live there to do that, and I’ve been told my chances of viewing the interior of the Stimson House are slim and nun. 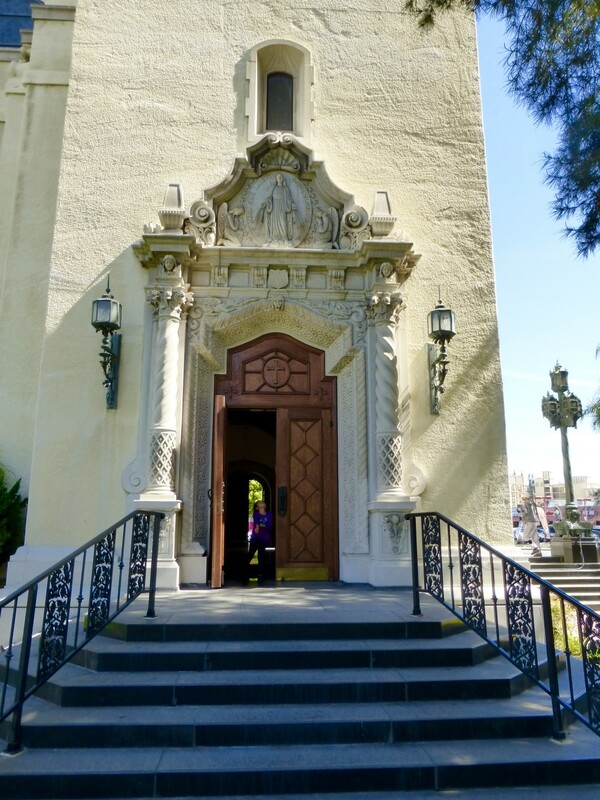 St. Vincent de Paul makes for a worthwhile stop when you’re in Los Angeles (or if you live here and are interested in L.A. history). 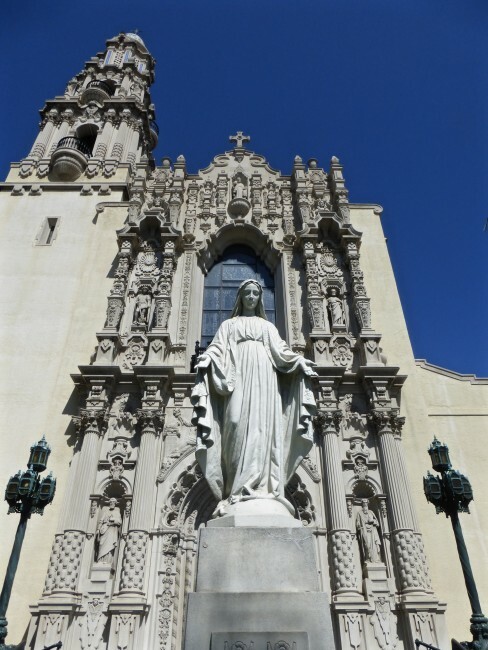 So many historic buildings have been torn down in the name of “progress” in L.A. that it’s nice to have something this beautiful (along with the lovely homes nearby) that reminds us that L.A. really does have an interesting past. Plus, if you’re hungry, you can grab some chicken across the street when you take the photo of the church. 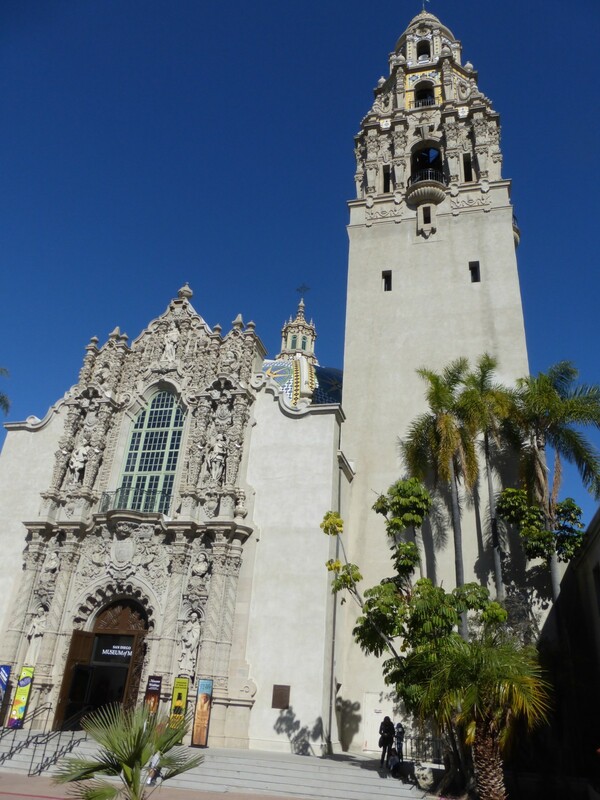 Hours: Daily – 8:30 a.m. – Noon.